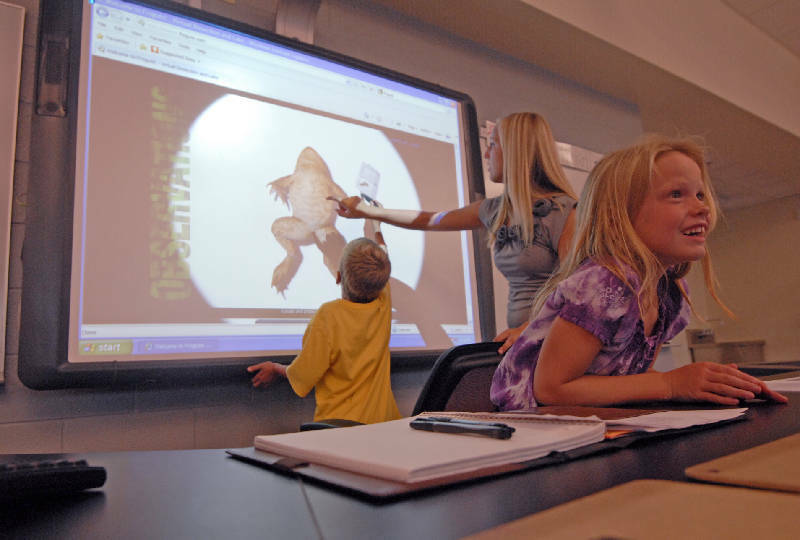 Jayden Ringstaff leans against the desk of one of the new labs in the Max R. Carroll Science Wing while Colby Ringstaff digitally dissects a frog with the help of a student at Cleveland High School Tuesday evening in Cleveland, Tenn., during the dedication of the new science wing. See dozens of photos from the dedication event here. Like the Times Free Press on Facebook to tag people you know. 2009 -- Voters approve half percent local sales tax increase, giving project a funding boost; construction begins. CLEVELAND, Tenn. - Cleveland High School opened the doors to its $8 million science wing Tuesday for the community to see. The Max R. Carroll Science Wing brings 21st century science education to the school, several speakers told the crowd. Carroll, one of the dignitaries present for the open house, served on the Cleveland Board of Education for 25 years. He led the search for land for several of the school system's newest facilities during those years. Carroll said it was a "high honor" for the building to be named for him. "It's kind of like Christmas," said Sandy Martin, co-chairwoman of the focus group along with former principal Chuck Rockholt, as she started a tour of the labs. Twelve years ago the city built a new commons area and renovated part of the building, Rockholt said. There was not enough money then for the science rooms. "Bless their hearts, we had parents who got involved," he said. At the beginning of a recession, Cleveland voters approved a half percent sales tax increase that partly funded the science wing, Rockholt said. "That spoke volumes to me about the dedication of this community to education," he told the audience. The state provided funding, too. "Teachers are blessed with everything they asked for," said City Schools Director Dr. Martin Ringstaff. "But more importantly students are blessed." Principal Autumn O'Bryan invited the audience back after their first visit. "You will really see the results of your commitment," she told the audience. "I promise you will not leave uninspired."